For all, who want to discover something new. This gondola link is a long-held dream come true. Directly from the village of Kaprun with the aid of two new gondola lifts, first up the Maiskogel and starting December 2019 from there to the Langwiedboden and the very heart of the Kitzsteinhorn glacier ski area! 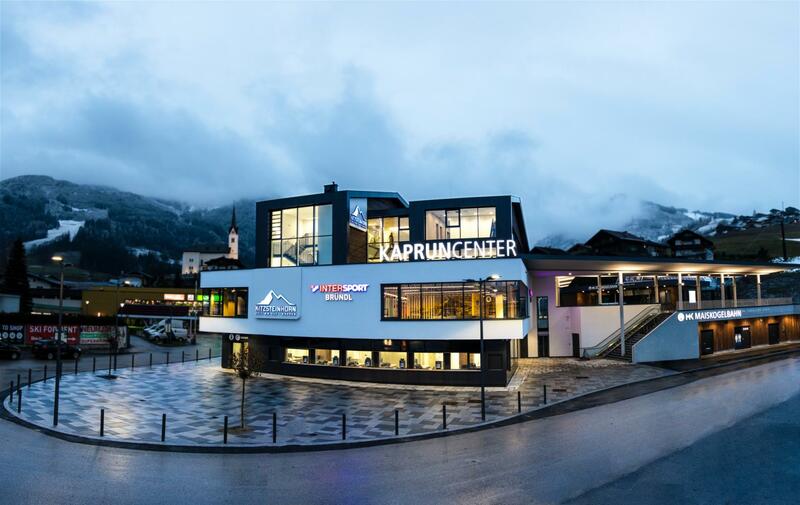 Maiskogel Family Mountain will also offer guests added comfort and convenience, in the form of a 10-passenger gondola known as the MK Maiskogelbahn and the new service hub Kaprun Center. 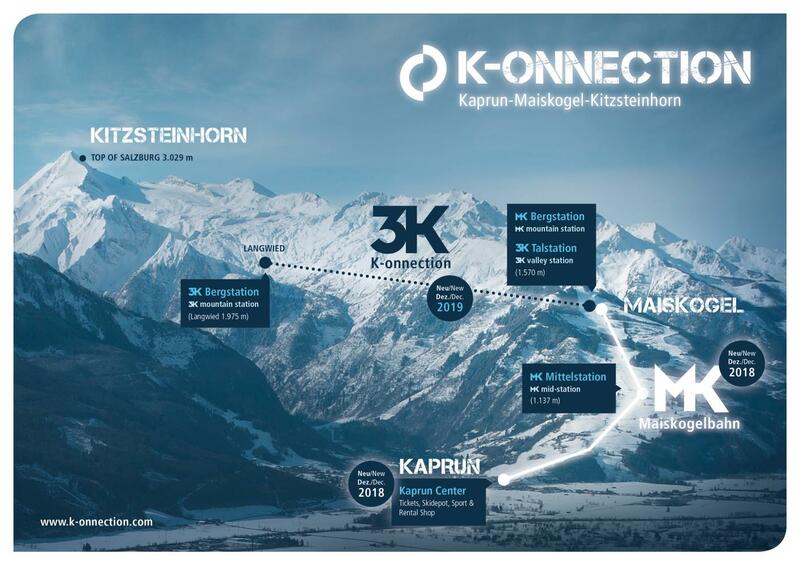 An ultra-modern tri-cable gondola, the 3K Kaprun-Kitzsteinhorn-K-onnection, will link the Maiskogel with the Kitzsteinhorn. 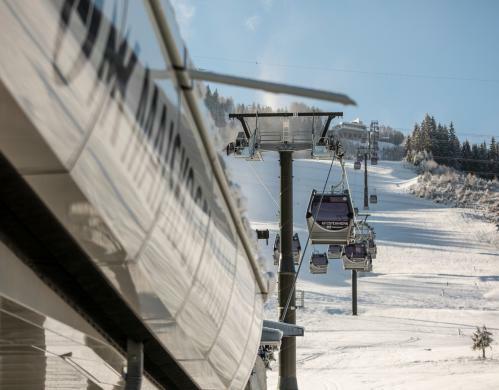 As of this coming winter season, the new 10-passenger mono-cable gondola will bring added quality to the Maiskogel experience. The opening of the new MK Maiskogelbahn in December 2018 will bring a whole series of benefits: the new Stanger mid-station (elev. 1137 m) will provide families, beginners and ski schools with optimal access to the broad, flat pists there. The Maisilift and the Almbahn - which are located in the upper area of the Maiskogel ski area - will continue to operate as before. In December 2018, the new Kaprun Center will also be opened. Located directly in the town center, it is not only the valley station of the new MK Maiskogelbahn, from December 2019 it will also be the starting point for the K-onnection up to the Kitzsteinhorn. 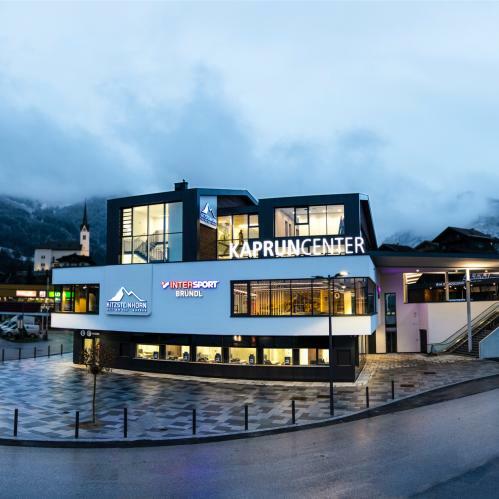 This multifunction building combines cash registers, Intersport Bründl Maiskogel - a modern, spacious sporting goods store and rental center - as well as a generous ski depot under one roof. Next year, in December 2019, thanks to the 3K K-onnection the final gondola link will be made in the string of pearls rising all the way up to the Kitzsteinhorn. It will be possible to ride directly from the town center of Kaprun (elev, 768m) via the Maiskogel and up to the TOP OF SALZBURG mountain terminal on the Kitzsteinhorn thanks to a 12 km-long string of pearls consisting of six gondola lifts. Which means, for the first time the Kitzsteinhorn will offer "ski-in-ski-out" convenience and put itself in the top league of Alpine ski areas. On foot or by skibus from your hotel to the gondola. Now ride the new, ultra-modern MK Maiskogelbahn and starting in December 2019 with the 3K K-onnection lifts, first up the Maiskogel, then to the heart of the glacier ski area, where great snow conditions are 100% guaranteed. And when your winter sports are over for the day, our SPA water & sauna world on more than 20.000 m² and our exclusive Hotel Panorama SPA with infinity skylinepool offers pure wellness. Definitely you will find the best offer, if you book directly with us.